1) Subjects took a test to identify their top five "signature" personality/character strengths. They were then instructed to use one of those strengths in a new way every day for a week. 2) For a week, subjects were asked to write down three things that went well each day and why they went well. The more faithfully the subjects carried out the exercises, the greater their increase in happiness over a forward six month period. Although subjects were told to do the exercises for only one week, a number of them continued beyond that time. Those that continued displayed the greatest increases in happiness. This is important, because positive emotional experience has been linked to improvements in health, creativity, and productivity. When we focus on building positive experience rather than minimizing our weaknesses, we create new ways of experiencing ourselves that open the door to fresh ways to tackle life and markets. 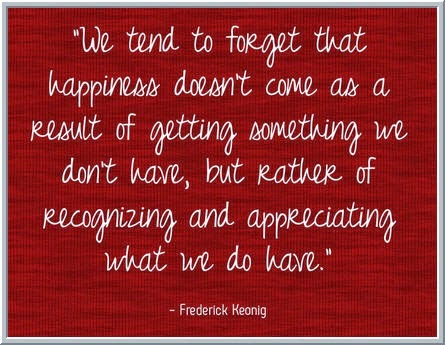 Notice the common thread between the two exercises: focusing on what we have, rather than what we lack. So often, when traders seek coaching, they focus on their weaknesses and what they're doing wrong. What if, instead, they adapted the two exercises above and consciously set about using their strengths in new ways in their trading and identifying what they did right during good trading? Over time, who will build the stronger confidence: the person who is strengths and solution-focused, or the person immersed in weaknesses and problems? You're most likely to work on your trading if your trading brings you positive experience. Cultivating strengths and solutions--and building processes around those--is a powerful way of accomplishing that.